Summer is a beautiful time of the year, filled with fun, joy, and hobbies. Summer gives us that feeling we can do anything we want – dance, take a long walk on our own, spend a whole day at the beach basking in the Sun and reading our fave book, organize BBQ parties, or casual sit-ups, and much more. As great as all this sounds, well, summer is over now. But, this doesn’t mean that we have to give up on some of the best things related to summer, particularly grilling. Of course, using outdoor grills indoors would be dangerous and dumb, but what about indoor grills? With the best indoor grill, you can bring some of the summer joy into your home and share it with your dearest people. If you’re curious about this topic, please read on. We’ll help you choose the best indoor grill so you can spice up the winter. The first part of our article is of informational nature – that is, a buyer’s guide. How else will you be able to choose just the grill your kitchen needs? Although there isn’t’ much to be said about choosing the indoor grill, you still need to have certain features in mind. So, take a look at those. Which type of indoor grills would best work for you? There are two types of indoor grills – an open grill and contact grill. The open grill is similar to outdoor grill in a way it cooks the food from the bottom. This means that you’ll need to flip the food often otherwise it may burn. With the contact grill, the food is cooked on both sides simultaneously. 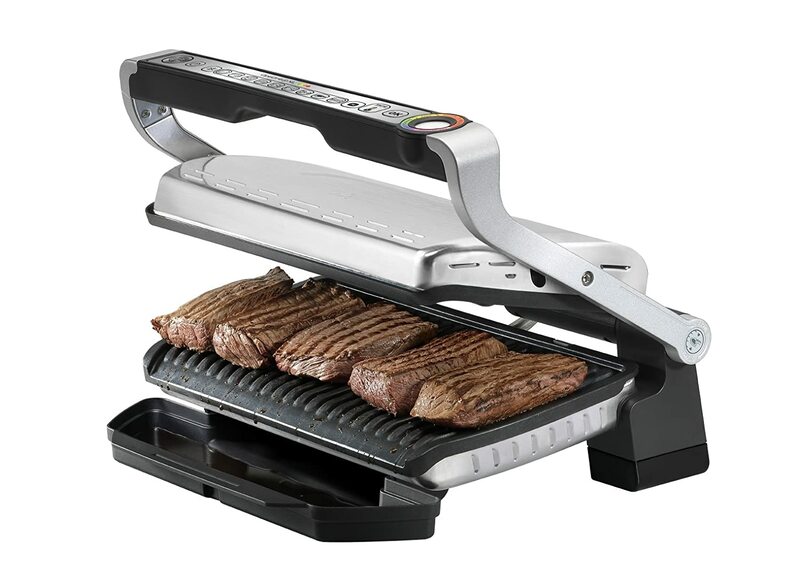 In addition, this type of grill works as a Panini sandwich maker, so you get a versatile unit. If you’d like to buy the open grill, look for the one with a lid because it will capture steam and smoke. It will also give you a few more grilling options. As for the contact grill, you’d want to find the one that is easy to clean. So, detachable top and bottom pieces would be ideal. There is one more option you have at your disposal – a grill pan. This type of pan is specifically designed for searing and grilling, and best models have high and wide ridges for best cooking results. This option is great for those who don’t want to buy an indoor grill but still want to enjoy delicious, grill-like foods. Some indoor grills occupy very little space whereas others may take up the entire countertop. This is one of the most important things to think about because you do need a grill that can fit into your kitchen. The next thing to consider is the cooking surface. Some grills have a small capacity and are enough to cook food for only one person, and some are great to grill meat and veggies for a family of four. Ideal time and temperature are prerequisites for successful grilling. So, a temperature indicator is the feature your grill definitely should have. Speaking of prerequisites, do you know what else is needed in order to grill the food to perfection? Enough power. When buying an electric grill, make sure to choose the one with sufficient power. Otherwise, it will take forever to grill food, and the food may not be cooked well. Obviously, this can lead to food poisoning and other unpleasant experiences, hence, choose wisely. After grilling all that food, a drip tray will surely be full of grease, and the cooking surface will need a thorough cleaning. And this is exactly why you’d want a removable top and drip pan – so you can clean them without much of a trouble. Now that you’ve gone through our buyer’s guide, it’s time to look at our smokeless indoor grill reviews and find just the thing you need. Here are 6 indoor grills that we consider best ones. Why is that so? Well, you have to read our reviews to find that out. But, before we jump into that, here’s a quick overview of the models we will be talking about. While some parts of the grill may be a pain to clean, the Philips HD6371/94 is the best smokeless indoor grill that money can buy. It makes grilling indoors fun and simple, and the food is juicy and full of flavor. Our top pick comes from Philips and is known as the best indoor smokeless grill. 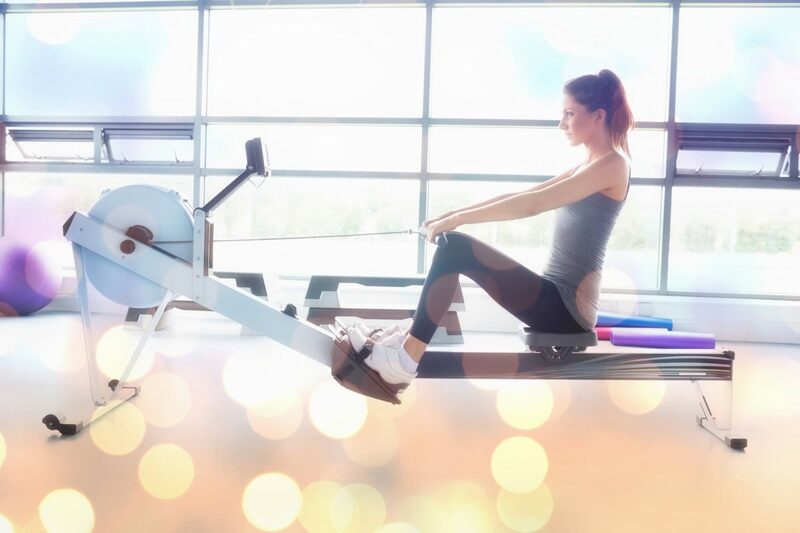 With 1660 watts, this model is powerful and ready to take on different types of foods – meat, seafood, and veggies. Best part? Any of these will taste great. The food grilled on this thing is juicy and flavorful. Not only that, but it also has those beautiful grill marks that we all are a fan of. So, the food tastes as good as it looks. But, how does this grill delivers such good results? Well, because of infrared technology, two heating element and drip tray that creates even temperature and virtually no smoke. Even temperature ensures the food is cooked well since there are no hot spots or flare-ups. And since there is no smoke, your house won’t be filled with that stubborn cooking smell for days. Another great thing is a large cooking area. You can grill steaks and veggies for your family in one go. Oh, and did we mention that this grill is lightweight and super portable, so you can also use it outside, or even borrow it to your friend. When it comes to cleaning, you will easily clean the drip tray and the rack. However, grease will get to the sides of the grill, and cleaning those involves extra care, effort, and cleaning spray. All in all, the Cuisinart GR-150 is a worthy investment, if you’re looking for a versatile indoor grill. With this one, you will be able to grill meat and veggies, make pancakes, Panini sandwiches, to name a few. So, is this the best indoor grill for your needs? The Cuisinart GR-150 is one of the best indoor grills due to its versatility. This grill offers several cooking options – so it’s a great choice if you plant to cook for friends or family. 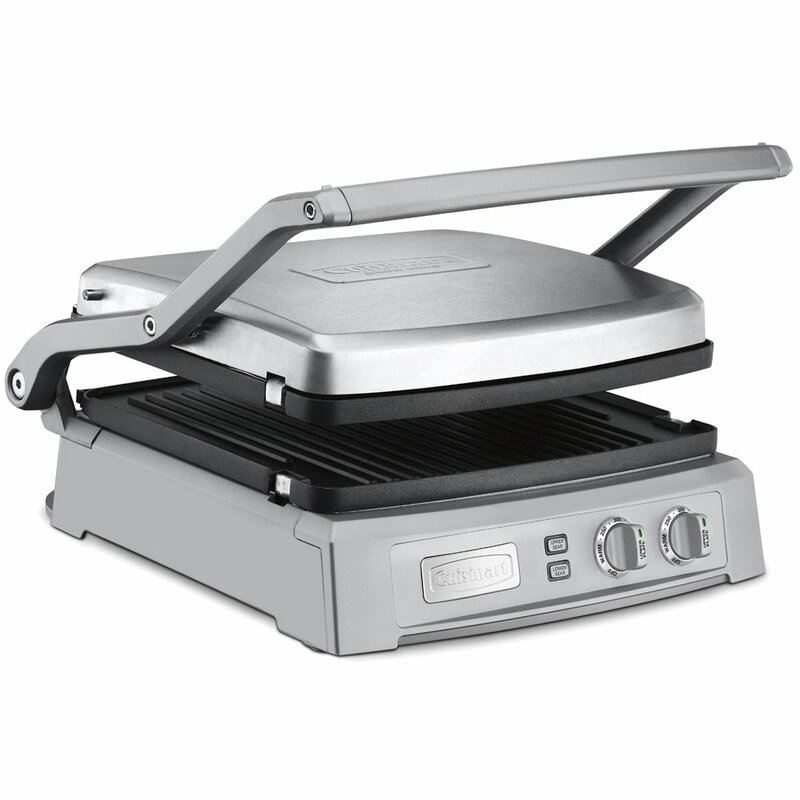 It can work as an open grill or contact grill, and it also works as a full or half griddle. The top is reversible for easy switch between a grill and griddle. It is also removable for easy cleaning. The plates are nonstick, so you don’t have to use oil if you don’t want to. This also makes cleaning a whole lot easier. You can count on this grill throughout the day, whether to make French toast or pancakes in the morning, grill some meat for lunch or make a Panini sandwich for dinner. The options are endless, and you will enjoy cooking new food on this grill. In addition, the grill has dual-zone temperature control. This means that you can cook different food at the same time. It’s perfect for making lunch and dessert at once. The grill is easy to control thanks to 6 presets. But, one of the major problems related to this model is a warranty. The manufacturer claims that you get a 3-year warranty – which is true. However, you’re expected to pay for shipping and additional costs. 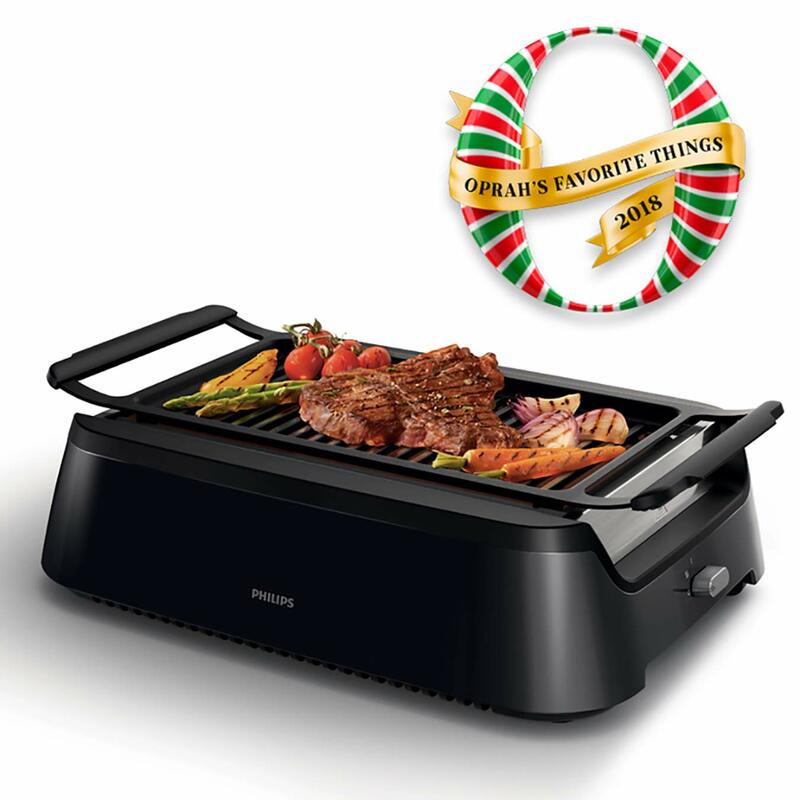 The Hamilton Beach indoor grill could be a good choice for those on a budget. It does a good job when it comes to grilling and searing, even though there are a few cons. But with features such as high heat searing capability, adjustable temperature, non-stick plate, and large drip tray, this is one of the best cheap indoor grills. 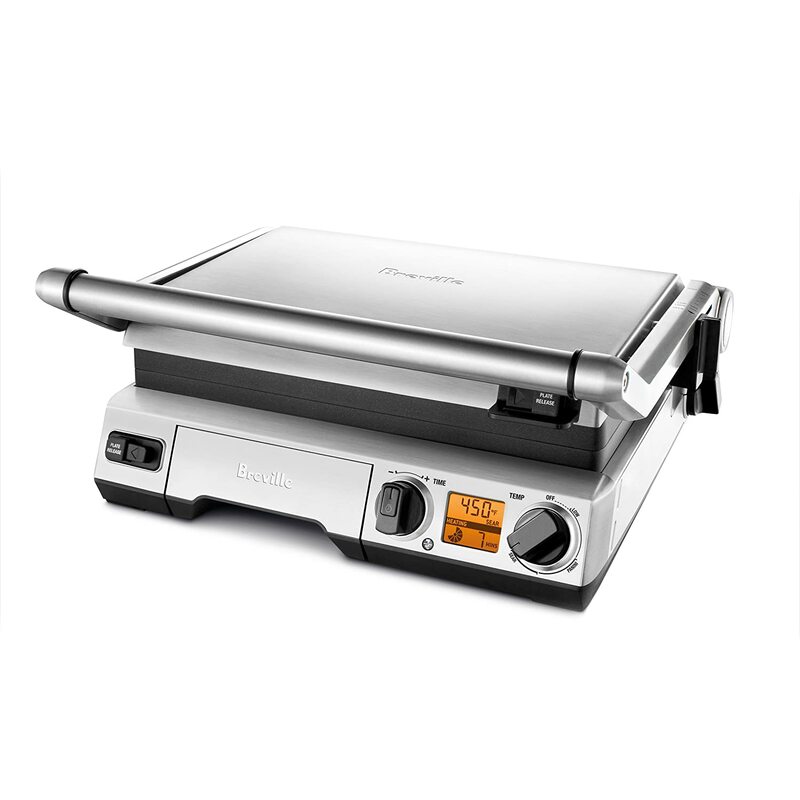 The Hamilton Beach electric grill features a non-stick plate and adjustable temperature; hence you can easily grill meat, fish, and veggies at the comfort of your home. This grill doesn’t offer much room for grilling, so it’s better suited for those who live alone. A large drip tray makes cleaning a whole lot easier, which is another great advantage of this model. 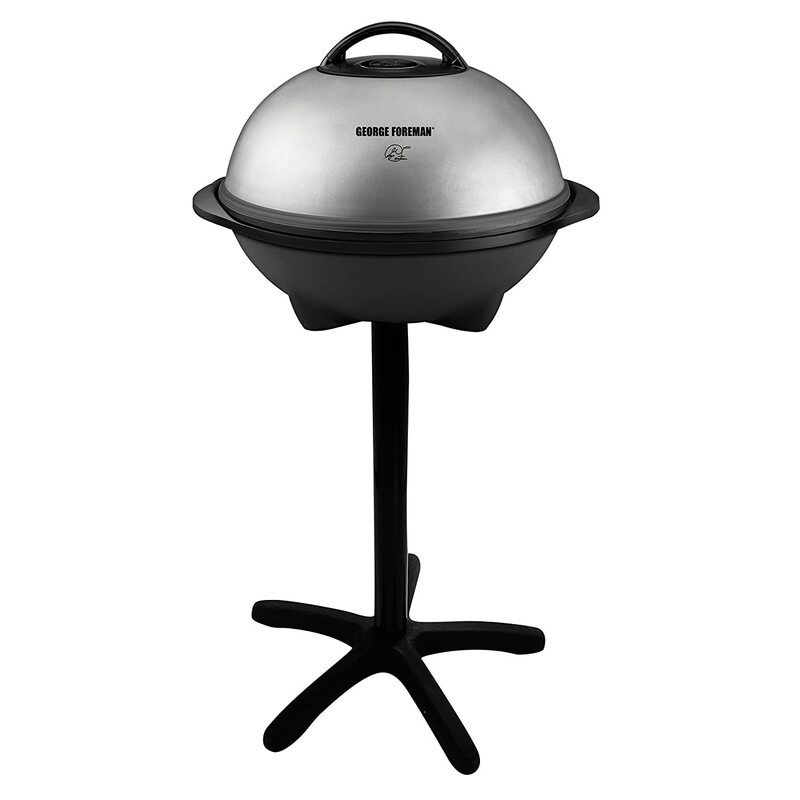 In addition, this electric grill comes at a low price, making it a good investment for starters and those on a budget. Despite a big advantage of a low price, this grill does have several downsides. First, this grill produces a lot of smoke so perhaps it’s not a good choice for small kitchens. It also takes some time to preheat. Lastly, the coating is delicate and can chip over time. So, even though the parts are dishwasher safe, perhaps you want to hand wash them in order not to scratch the coating. The George Foreman circular grill offers a large cooking area, even cooking, and adjustable temperature controls. No doubt that you will enjoy eating mouth-watering food cooked on this grill. The name George Foreman is well-known in the world of indoor grills. Here we have one of the classics – George Foreman electric grill with a stand. Not only this grill could be the best indoor grill for you, but it can also work as an outdoor grill. You don’t have to worry about the weather anymore; you can start the BBQ party outside, and move a grill indoors if the weather doesn’t serve you. With a generous cooking surface of 240 square inches, you can easily grill food for 15 people at once. So, this model is a great choice for families or those who enjoy cooking food for their friends. And there is also the adjustable temperature control, so you can be sure that all the foods you cook will be tasty and flavorful. The Patented slope design drains grease away from your food, so the food will also be juicy. This model is built to last, as it is made of high-quality materials. 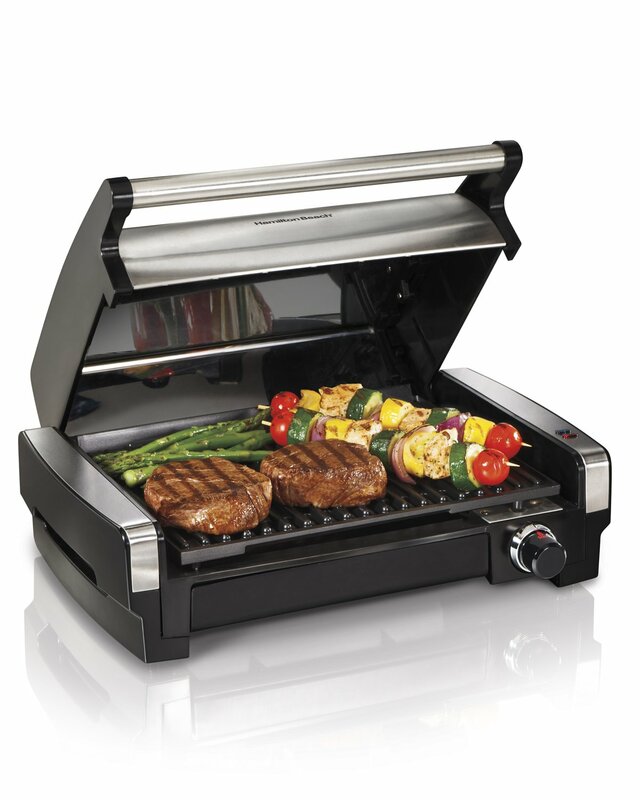 The price is also great, making this model the best indoor grill for the price. However, keep in mind that the grill is complicated to clean, although a drip tray facilitates that. Also, due to a circular shape, the grill takes up a significant amount of the countertop. The Breville Smart Grill could be the best tabletop electric grill for those who don’t mind the high price of this model. Versatility, temperature adjustability, and easy cleanup certainly make this model worth considering. 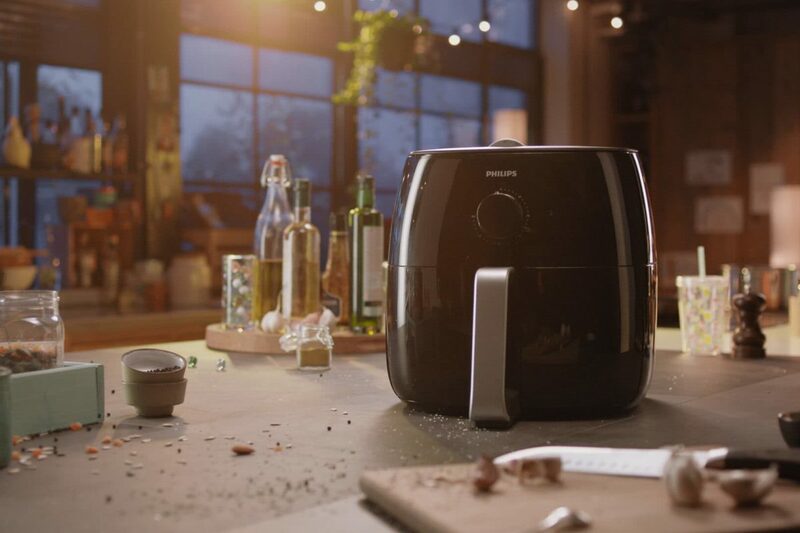 The Breville Smart Grill is a versatile grill that comes with temperature control. You can use it as an open grill or a contact grill, and prepare a variety of foods. In addition, there are 6 adjustable settings for height. A cooking surface is large, so you can cook a bunch of food for the whole family. And with a removable drip tray, clean up will be quicker and easier. Also, plates are dishwasher safe. This model features digital controls, so it may be a better choice for seasoned home chefs rather than beginners. Stainless steel construction ensures durability and also makes the grill a stylish addition to any kitchen. But there are also few downsides. For example, the cooking surface is not even, and there are hot spots. Moreover, the grill is large and takes up a lot of space. And it is expensive. All in all, the T-fal electric grill could be just what you need to bring the magic of grilled food inside. Packed with useful features, and with stainless steel construction, this model won’t disappoint. Here we have a great indoor grill coming from T-fal. This one is designed with simplicity in mind. It comes with 6 auto cooking programs: Burger, Poultry, Sandwich, Sausage and Pork, Red Meat, and Fish, making cooking a whole lot easier. A frozen mode is also very useful as it lets you grill the food in the last minute. And there is a manual mode for your favorite recipe. You can cook a variety of food on this grill and each piece will taste great. However, keep in mind that you will have to check the food frequently, as the automated settings aren’t always accurate. 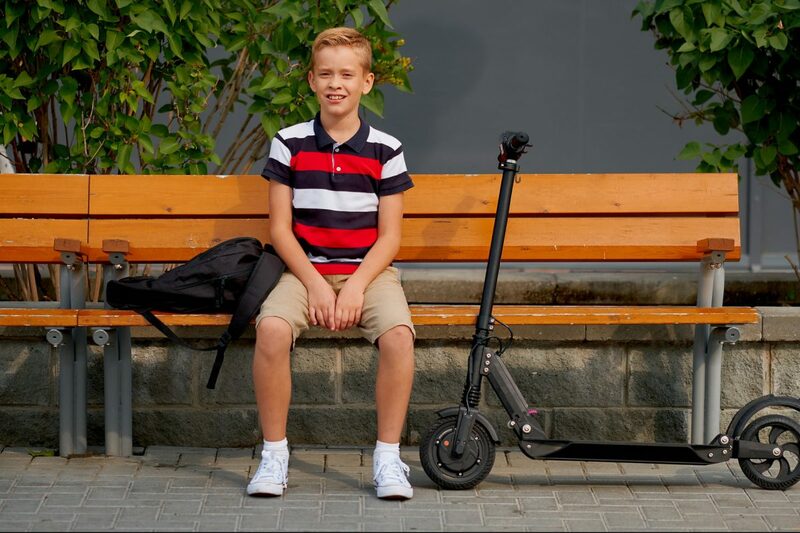 Other features worth mentioning are a ready indicator light and audible beeps and ergonomic controls on the handle. No doubt that this grill is cleverly designed. Die-cast aluminum nonstick plates allow for healthier cooking without additional oils, and also make facilitate cleaning. A drip tray and plates can be washed in the dishwasher which is a great advantage. You can grill how much you want and don’t have to bother with cleaning when you’re done. However, there is one more thing to have in mind and that is a small cooking area. So, if you plan to cook for the whole family, perhaps you want to take a look at a bigger model. And there you have it, home chefs, a guide for finding the best indoor grill and reviews of best models. We hope that you now know what you’re looking for and that soon you’ll have a new addition to the kitchen. It all comes down to your needs and desires, so naturally, you will choose the grill that suits you best. The same goes for us, and we have chosen the #1 Philips smokeless indoor grill. This model is portable, ensures even cooking and consistent temperature and, on top of all, is very powerful. Whether you want to cook veggies, grill steak or fish, this grill has you covered and that’s why we love it so much.